My Friend Lent Money From Me. What Can I Do To Get It Back? Home » The Law & You » My Friend Lent Money From Me. What Can I Do To Get My Money Back? My Friend Lent Money From Me. What Can I Do To Get My Money Back? A viewer loaned his friend $10,000. Now that his friend has come into some money, the viewer wants to know what can he do to get his money back. Attorneys Greg Fellerman and Ed Ciarimboli offer some legal advice. Dave Kuharchik: We’ll be talking about today is a loan between friends. Joining us on “The Law & You” are our best friends, attorney Greg Fellerman and Ed Ciarimboli. But we don’t lend money to each other. Ed Ciarimboli: No, no. Boy, the set looks really festive. Dave: You know, the Home Depot did a really wonderful job with the set here, the news set, PA Live, the rooftop. Ed: Thank you, Home Depot. This looks great. Dave: We’re in the spirit of the season but maybe not between these two friends who have an issue involving ten grand. “I loaned my friend money. I had him sign a note for it. He owes me $10,000. He just came into some money from gas leases.” What does Mike from Dalton have to do to stake a claim in this money? Ed: Well, Mike, I’m going to let Greg handle the technical aspect of it but assuming that you can get the money that your friend is getting from the gas leases, you’re going to have to go through the process of filing a lawsuit, getting a judgement, and then executing on that judgement. So it’s not as simple as, “Oh the guy has money, I’m going to go and get it.” There is a process that you are going to have to go through. I’ll let Greg talk a little bit more about the specifics of what court you’re going to have to go in to do this because there is some procedural stuff you’re going to have to comply with. Greg Fellerman: And what Ed is talking about is the amount of controversy. Right now, at the district court level, the amount of controversy is $12,000 or less so you would have to start at your local district judge. You file, you win, you get a judgment, you have to secure the judgment and file it at the courthouse. Again, he can do subject to appeal but once you win and have a judgment, that judgment is in place I think for about five years. Then when you have the judgment, you have to basically track him down and get paid by using that judgment. So, judgments are very helpful, they’re not always successful but they can hang around and nip at people and we see it when they go and buy a home or something, oh there’s a judgment. Then you get paid. So the judgments are good. Dave: All right, so for viewers who need legal advice, how can they get in touch with you? Greg: Give us a call at 570-714-HURT, see us on the web at 714hurt.com. Ed: Or go to our Facebook page. Please don’t lend friends money. Generally speaking, that’s the advice that we give everybody. It just doesn’t end well. But if you have a question like this, put it on our page and we’ll do our best to answer it up in an upcoming segment. 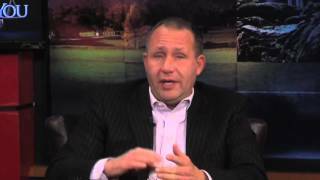 Dave: Results matters with attorneys Greg Fellerman and Ed Ciarimboli, guys thanks. We’ll catch you next time.